This seems like a completely terrible idea. So long as it's built to the notoriously high Chinese safety standards, I think we'll all be completely fine and not on fire. Just finished reading the Wikipedia page on the future of the planet (and the Sun), and crikey it's grim. ...even if the Earth is not swallowed up by the Sun, the planet may be left moonless. The ablation and vaporization caused by its fall on a decaying trajectory towards the Sun may remove Earth's mantle, leaving just its core, which will finally be destroyed after at most 200 years. Following this event, Earth's sole legacy will be a very slight increase (0.01%) of the solar metallicity. The moon will escape the grasp of Earth's gravity in around a billion years, long after most life on our world has ended due to the sun's increasing luminosity. By the time the Earth falls into the sun, life will be but a distant memory. Yeah, we really need to become a stellar civilization. If we can't do it before we exhaust the Earth of its industrial resources, which could be a few hundred to a couple of thousand years, we're properly strawberry floated. 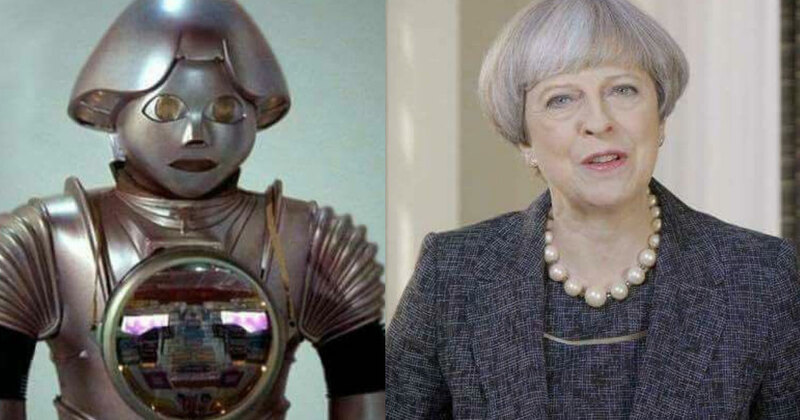 I wonder if Theresa May will have sorted out a brexit deal then? It's just very sobering, really. We have such a beautiful planet full of amazing landscapes, animals, people and sites of natural and man-made beauty. All of our achievements and mistakes. All those ancient ruins and clues to our lowly origins as a species. All the history. All the fossils and the prehistoric stories that they tell us. All of that will be gone in a sea of molten lava, there's no escape from it. And wherever humanity (and those species lucky enough to come with us) ends up in the distant future, Earth will stop being the lovely it place it is now and will become just one of the countless rocks hurtling to its demise. We'll be long gone by then, even if we somehow manage to spread across the galaxy. A billion years is an almost incomprehensible length of time. Alvin Flummux wrote: The moon will escape the grasp of Earth's gravity in around a billion years, long after most life on our world has ended due to the sun's increasing luminosity. By the time the Earth falls into the sun, life will be but a distant memory. A billion? It might be more like 300million. The bottom line is that in less time than it has taken higher life forms to evolve into land creatures, the Earth's biosphere may be changed by the inevitable course of the evolution of our Sun. In 300 million years or less, it may become very inhospitable for life to continue to exist on the land, and if we leave it alone, evolution may encourage life to return to the sea where the climate will be a bit more moderate. So we're already in the twilight years of life on earth, then. It'll see another united Pangaea-style landmass, but may not see another. Yeah we really need to get our asses into space. Preezy wrote: Just finished reading the Wikipedia page on the future of the planet (and the Sun), and crikey it's grim. Ad7 wrote: I wonder if Theresa May will have sorted out a brexit deal then? The droid looks like it has more of a soul. Are energy based lifeforms like the Vorlons from Babylon 5 or Q from Star Trek at all possible according to current science? Could it be they're just using some incredibly advanced technology or is it possible to be some form of advanced evolution? I've thought of questions at times but never asked as I don't want people thinking I'm stupid. Of all the possible Trek questions you ask that one? A better one would be, are green skinned humanoid alien girls possible? While life can't be pure energy, I bet there are actually some really weird forms of life out there that we can barely conceive of. Like giant sapient electrified clouds, or stone creatures that don't eat because they get energy from radioactive rocks inside them, or there's a planet covered in mud and all the mud is actually a big brain somehow (was that in a Doctor Who episode?). The universe is a really big place, there'll be all sorts of strange gooseberry fool out there that we'll never meet or know about . Karl wrote: While life can't be pure energy, I bet there are actually some really weird forms of life out there that we can barely conceive of. Like giant sapient electrified clouds, or stone creatures that don't eat because they get energy from radioactive rocks inside them, or there's a planet covered in mud and all the mud is actually a big brain somehow (was that in a Doctor Who episode?). The universe is a really big place, there'll be all sorts of strange gooseberry fool out there that we'll never meet or know about . So you are saying that there is a chance of hot green alien chicks?